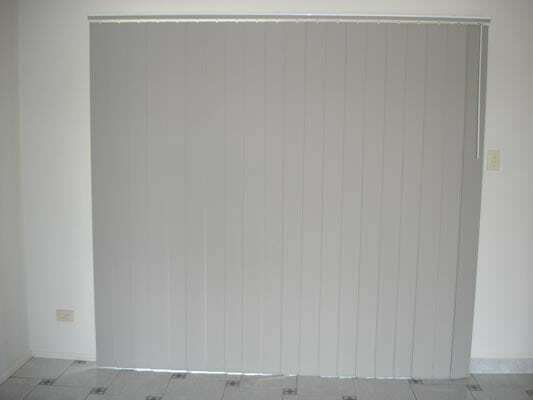 Sleek, smart and simple – great for sliding doors! 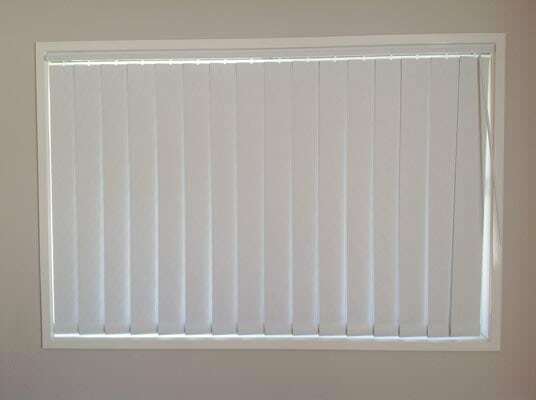 Vertical blinds are probably our most popular product, and for good reason – they offer great functionality and looks at a really good price! 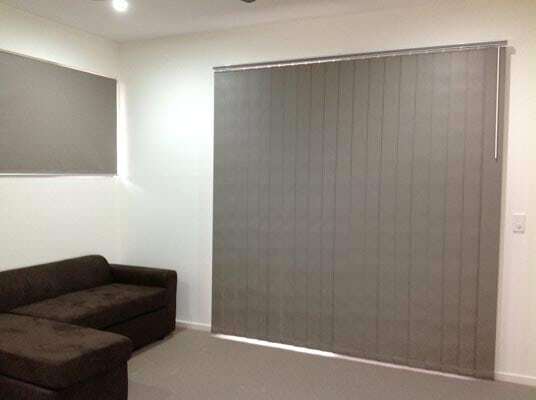 Ideal for sliding doors and windows, floor-to-ceiling windows and other large areas of glass, vertical blinds offer incredible versatility without compromising on user-friendliness or privacy. We also manufacture child-safe cords, so you won’t have to worry about your little ones playing near your new vertical blinds. 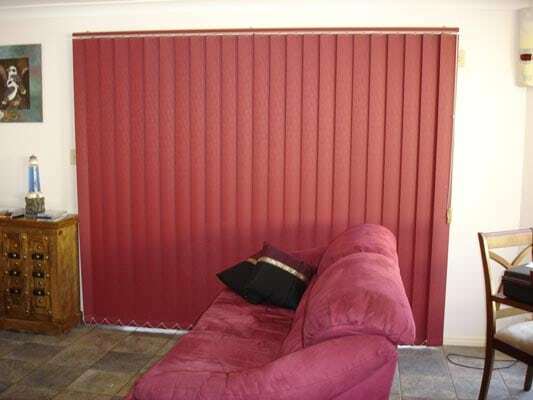 Our range comes in a diverse array of colours and materials. If you’re not sure what colour to choose, simply ask – Rob has extensive experience doing colour consultations, so he’ll be able to help! 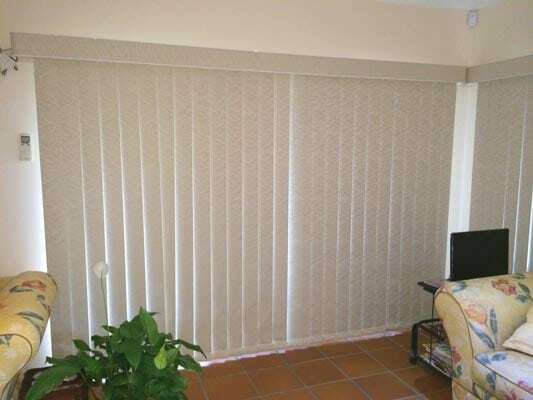 Made to your exact measurements, right here in Queensland! Thanks to our long-standing partnership with our factory supplier, we are able to offer you great prices – no middle man, no dealing with stock issues, no fuss! 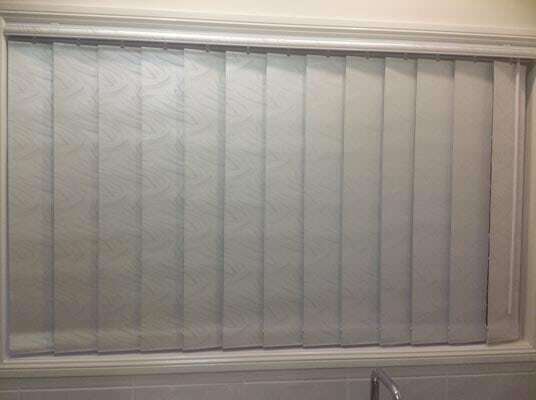 Your blinds will be made to your exact specifications, and as our factory is so nearby, if you ever need spares or replacements, you know you’ll get what you need in no time.